Think of this as your list of must have plugins for WordPress. These are the Best WordPress Plugins for 2017. And as a Development firm that specializes in WordPress (it’s all we build), we take pride in knowing which plugins stand out from the rest. We’re able to achieve this knowledge from years of experience; we’ve tested hundreds of WordPress plugins. Let us help you select the right WordPress plugins for your next build. With the Respondo Pro Shortcodes Plugin you can find a website that you like the page layout of and use it for inspiration. The options will allow a User with (zero) CSS and HTML experience to design the exact page they want (get inspired). The design combinations available in this plugin are in the millions (maybe more). Columns – Adding columns is the basis of all page design. With the columns shortcode you’ll have the option to add a widest variety of column variations. Column in Column – This shortcode variation allows you to expand your design capabilities almost infinitely. Using this shortcode functionality is almost inevitable. Non – Cascading Columns – When the screen size adapts for mobile the columns naturally cascade. With this option the columns keep their intended ratio, no cascading. Column Background – After adding a column you can easily add a background color or an image to it (and add any content you want over it). This gives you extreme design control. Vertical Spacing – Getting the height and spacing of all your designs just right makes a huge difference with the user experience. Vertical spacing gives you total design control. Responsive (Show or Hide) – If you don’t (or do) want something to display at a specific screen size, this option will automatically remove (or show) the content, anything you want. Full Width & Parallax – Simply create a full width (color or image) background anywhere on a page. This shortcode even allows you to set a parallax scrolling option + much more. Transitions – With transitions you can easily make content appear upon the User’s scroll. 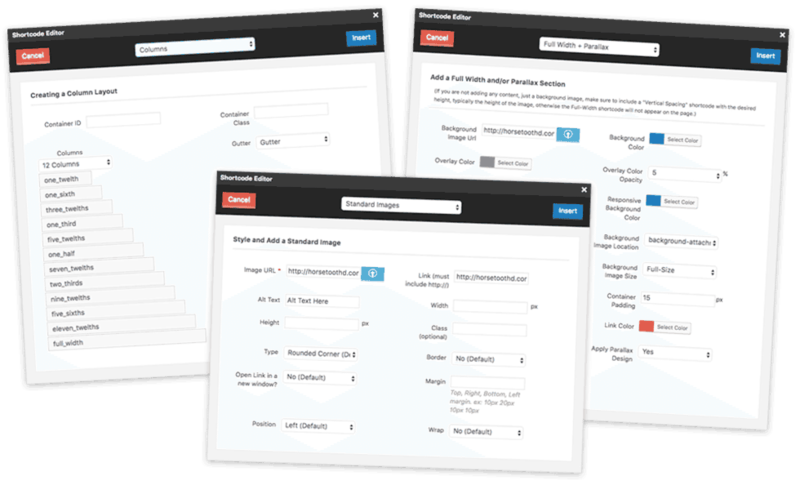 Just add the content you want to appear within the shortcode. Several options. Standard Images- Easily manage your images (and image sizes), where the image is placed (right, center or left), change alt text, if there’s a border + much more. Horizontal Divider – A very simple addition to any page and a great way to divide content. This simple shortcode allows you to modify the color and style, fit within any column. Buttons – Add a button anywhere you want. This shortcode’s design is managed globally on the site (via theme options). Control a bunch of styling variations with ease. Box Content – Add content (anything you want) in a box where you control the background color, border and several other options. A great way to display content on a page. Widget Area – Let’s say you create a 3 column layout. In each column you can add this shortcode and specify which widget area is displayed. Show dynamic content with ease. Custom Text – Within this shortcode section you’re able to add text and the work done in the editor (all of the various selections) will be applied with no problem. Custom text options. Responsive iFrame – Add a Responsive Iframe (ex: YouTube Videos, Google Maps, etc) anywhere on a page. Place your content within the shortcode after you insert this in the page editor. Progress Bar – With the progress bar you’re able to create an animated percentage option “bar” (and non animated, if wanted). Options too. Alerts – The alerts are added easily with a title, text and a color selection. Page visitors can close alerts too. Notifications made easy. Single Button Group – The single button group makes it easy to add navigation style layouts to any section. Several color options available too. Separate Dropdown Menus – Need a way to display a bunch of links? Add dividers, your specified size, type and position. Easy editor. Basic Tabs – Create a tabbed section with a bunch of color options for personalization. Many layout variations available. Basic Pills – Similar to the tabs, with a different style. Determine the layout and add your content and desired shortcode styling. Accordion Stacked Tabs – A great way to display content in a stacked (hidden) format. Adjust the colors however you want to customize. Font Awesome Icons – Add Font Awesome icons via a simple shortcode. You have easy access to add icons and manage their colors. Dynamic Blog Posts – Add dynamic content like blog posts with one easy shortcode. This content will dynamically update as you add new posts. Several options. For many years we used the Yoast SEO plugin and it was great (most of the time). And I wasn’t even looking to drop Yoast but it happened, in December 2016. Why? I found a plugin that offered much more and had a simple UI. It’s SEO Pressor and it’s got a lot of features. Get a score, suggestions on what to improve, a whole list of semantic keywords, schema data and more. Multiple Keywords Analysis – For three keywords. XML Sitemap Generator – Made simple. SEOPressor Over-Optimization Check – Helps make sure you don’t over-optimize your content. Canonical Link – Easy setup for canonical link. Progressive LSI Keywords Engine – Powered by LSIGraph. Built right in to your page. 301 URL Redirect – Easy to add to any page. SemantiQ Density – A built-in Semantic Analytic, designed to tell if your content is semantically related to your keywords. On-Page Robot Rules – No-index an internal page right on the page. Schema and Dublin Core – Support for both Dublin Core and Schema markup. Built in options. SEOPressor Site Audit – Nice UI and instructions. SEOPressor Local SEO – Easy setup and addition to widget areas. Google Knowledge Graph – Ready for Google Knowledge Graph. SEOPressor Score Manager – Manage all posts. SEOPressor Smart Link Manager – Manage the health of links sitewide. Sitewide Link Policy – Control of your outbound link’s behavior. Facebook Open Graph – Open Graph customizability. Automatic Smart Linking – Link keywords in all of your articles through one setting page. Twitter Card – Expanded Twitter Card to support more customizability. SEOPressor Role Settings – Role Settings enables you to grant, limit, or revoke a specific user’s access. Getting more opt ins could greatly increase your sales and/or traffic to your website. A plugin that’ll allow you to get creative on the design AND placement is what Convert Plug offers. It’s a simple way to add a various assortment of opt ins throughout the website. Prepared layouts and templates make design easier. For design prep there is a live editor to see what you’re altering as you work. If you don’t want to pay big fees to send out your newsletters AND… you like working in your WordPress dashboard, start using MyMail. We integrate our MyMail with SendGrid. SendGrid communicates with MyMail and sends out your emails on a safe (email ready) server. This ensures all your emails get sent. MyMail makes creating campaigns easy and it integrates with ConvertPlug. 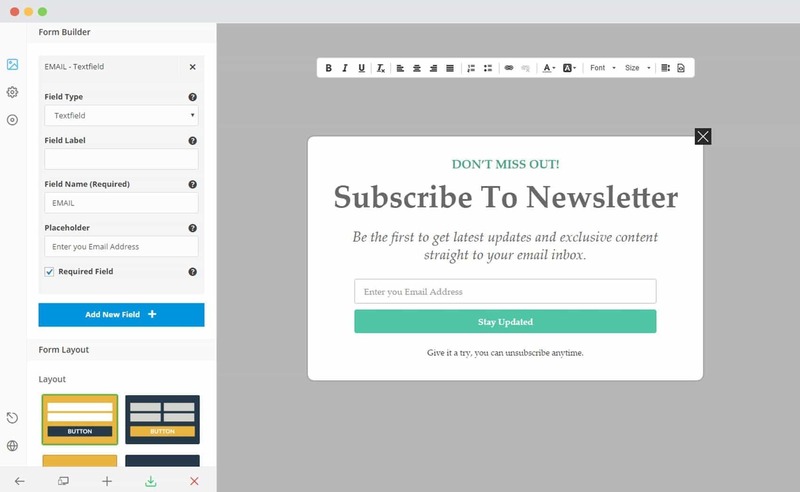 MyMail comes with an intuitive and easy to use live editor which lets you create campaigns in minutes. Send automatic auto responder, follow ups, latest posts or birthday greetings. MyMail enables you to track your campaigns and subscribers with ease. Find out where they are coming from, which email client they are using, their click rate and any other activity to improve your email campaigns and get the best conversion possible. MyMail features unlimited forms which can be used in various places. Use it in widget sections, shortcodes or as a simple button to grow your email list with ease. Thanks to the clean interface of MyMail managing your subscribers was never as easy as this. All your data is stored in your WordPress installation. There are no recurring fees for managing or storing your subscribers. 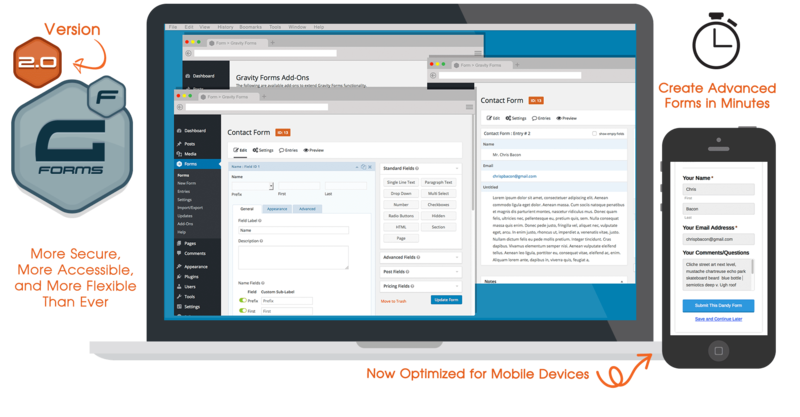 MyMail is fully responsive and optimized for mobile devices. Your customers can check your newsletter on the fly and will have a great experience on any device. There is no other viable option for WordPress (eCommerce) than WooCommerce. And… it’s really the best bet for over 90% of all eCommerce needs. We’ve developed (over the years) on several WordPress plugin options + Magento and a few other 3rd party options. Nothing compares to the experience (in development and for the end User) than WooCommerce. It tops the list. Gravity Forms can do more than you need it to do (this is a good thing). There may come that day that you need something smart to happen with your forms, it’ll be built and ready to go. Gravity Forms can do much more than all of its competition combined. It’s an incredible plugin that can allow Developers the ease of use to create nearly any form derived concept imaginable. Multi-Page Forms – The page break field allows you to break up your form into multiple pages and even show a progress bar that let’s your user know where they are in the process. Form Settings – Easily configure the title, description, settings and confirmation message using the form settings. Limit Entries – Running a contest and only want to accept 50 entries? Easily limit how many entries a form will accept and display a custom message when that limit is reached. Advanced Fields – Sometimes standard form fields just don’t cut the mustard. That’s where the advanced fields come in.. from capturing names, addresses and phone numbers to email addresses, website URL’s and even file uploads. The advanced fields are here to make your life even easier. Standard Fields – Need a text field, paragraph field, drop-downs, checkboxes and some radio buttons? We’ve got you covered. Our standard fields consist of all the major form field types. Pricing Fields – Gravity Forms makes it easy to create order forms. 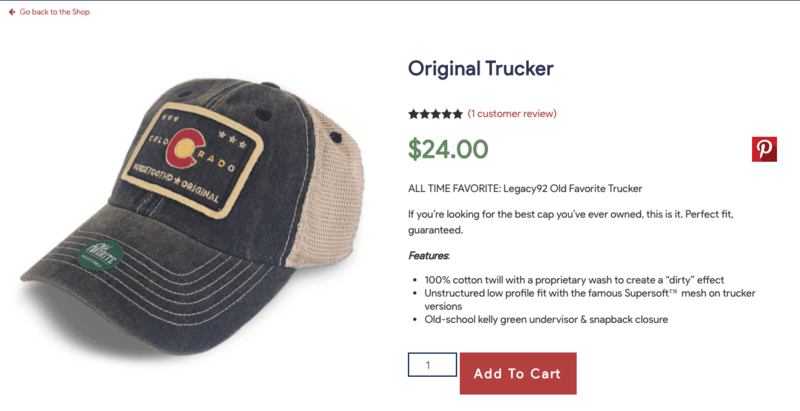 Order forms can incorporate pricing specific fields to allow your users to make selections and generate a total based on product and option selections. Post Fields – Gravity Forms isn’t just for entries. It can also create WordPress posts. It’s easy to build a form that creates WordPress Posts on your site. They’re perfect for user-generated content, directory listings and much more. If you don’t want to stress about having to edit pages and add content, let your Developer set up Advanced Custom Fields (ACF). In some site management environments this could save you from headaches and extra training. Simple & Intuitive – Once installed, simply create a field group, add your fields and define the location rules. Presto! Your fields have appeared and are ready for data. The Repeater Field – The repeater field allows you to create a set of sub fields which can be repeated again and again whilst editing content! Any type of field can be added as a sub field which allows you to create and manage very customized data with ease! The Gallery Field – The gallery field provides a simple and intuitive interface for managing a collection of images. Multiple images can be added, edited and sorted with ease! The Flexible Content Field – The flexible content field is a complete content layout manager! Define groups of sub fields (layouts) and add, edit, and re-order them to create highly customized content! Clone field – The clone field allows you to select and display existing fields. It does not duplicate any field’s in the DB, instead, it loads and displays the selected fields at run-time! Options Pages – The options page provides a set of functions to add extra admin pages to edit ACF fields! All data saved on an options page is global and can be displayed on any page throughout the website (good for header and footer data)! For us it’s pretty easy to decipher (quickly) which plugins are going to work for a Client. After extensive research AND usage we’ve been able to narrow down the best of the best plugins that get the job done. We see these as WordPress must have plugins. Hopefully this post will help you get started in the research necessary to select the right plugins for your WordPress website. If you’re in need of assistance, we offer it. We will gladly assist you in determining a plugin’s compatibility using your theme and assortment of activated plugins. There are other essential WordPress plugins that we’ll add to this list. In terms of biggest sellers or amount of downloads, these might not be the highest grossing options. That doesn’t matter. We’ve tested these and see them as the best website plugins for WordPress. Thanks for reading our blog post on the Best WordPress Plugins for 2017. After reading this you’ll discover some of the greatest plugins WP has to offer. These functional plugins have the power to create new platforms and concepts.